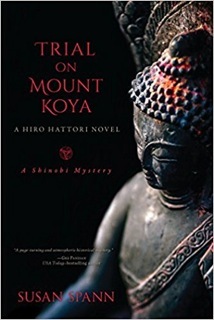 Synopsis (from Amazon): Master ninja Hiro Hattori and Jesuit Father Mateo head up to Mount Koya, only to find themselves embroiled in yet another mystery, this time in a Shingon Buddhist temple atop one of Japan’s most sacred peaks. When I set out to write a mystery set on one of Japan’s most sacred peaks in 1565, I faced an unusual problem: how to incorporate female characters into a novel set in a place no woman was allowed to tread. 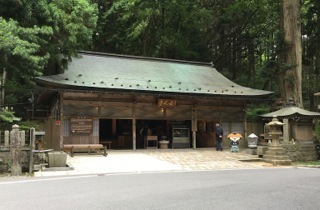 Like many of Japan’s most sacred mountains, Koyasan did not allow women onto the peak until relatively recently—specifically, at end of the 19thcentury. 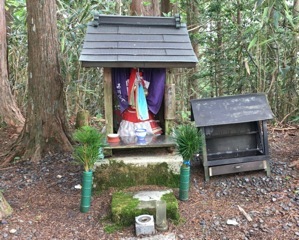 Before that, women could come to the edge of the koya—the summit valley from which the mountain takes its name—but could not actually enter the sacred precincts or the temples atop the mountain. Instead, women had to stay in one of the seven nyonindo, or women’s halls, that surrounded the peak. Which placed me squarely on the horns of a dilemma: how to get women into a novel, and a place, where women were taboo? 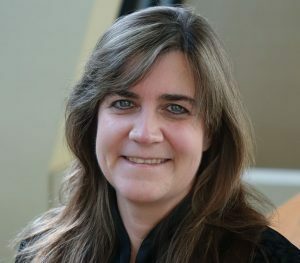 The outline for the novel included no female characters at all. Since women were not allowed on Koya’s summit, I didn’t plot them into the book. But then, about halfway through writing the first draft of the novel, I realized the story didn’t work without female characters. The book—like the world—required both men and women to balance properly. I needed to get women into the story, and the temple. But how? The answer—literally—struck like a bolt of lightning. The Buddhist commitment to the sanctity of life would have prevented even ardent priests from refusing shelter to women who would otherwise perish in a storm. If something destroyed the nyonindo, in weather that made it impossible for the stranded women to leave the mountain, the priests at the closest temple mightagree to offer the women shelter until the storm subsided. The women would be cloistered, and kept away from the priests, of course, but they would still be on the temple grounds and accessible to my detectives (and my plot). I rewrote the outline, and the book, with lightning striking the nyonindo and burning the women’s hall to the ground. The fugitive women fled to the nearest temple—where Hiro and Father Mateo persuade the priests to let the women stay. With a killer loose in the temple, it isn’t much safer than the blizzard raging across the mountaintop (in fact, for several unfortunate souls, it might have been better to risk the storm) but it did accomplish my central mission: finding a plausible, realistic way to include female characters at a time and place most women were not allowed. As I expected, the plot and the novel as a whole were much better with both men and women represented—in art, as in life, more viewpoints always make a story stronger.